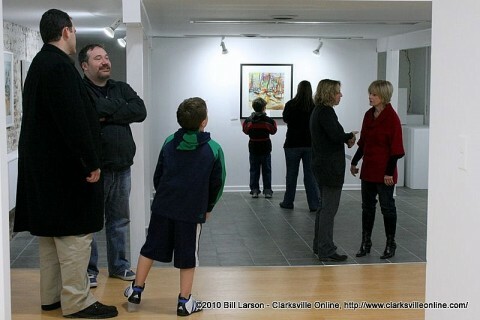 First Thursday Art Walk in downtown Clarksville scheduled for July 3rd. Clarksville, TN – Seasoned actor Jay Doolittle returns to the Roxy Regional Theatre this spring to reprise his role as Morrie Schwartz in the beloved play based on Mitch Albom’s New York Times bestselling memoir, “Tuesdays with Morrie”, March 27th – April 11th. 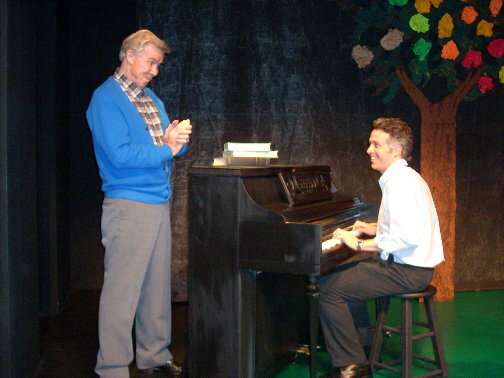 Sixteen years after his college graduation, sportswriter Mitch Albom (played by Matthew Whitfield) happens to catch his former professor’s appearance on a television news program and learns that Morrie is battling ALS, more commonly known as Lou Gehrig’s Disease. 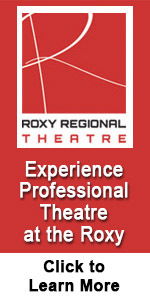 Roxy Regional Theatre’s “Tuesdays with Morrie” stars (top) Jay Doolittle and Matthew Whitfield. 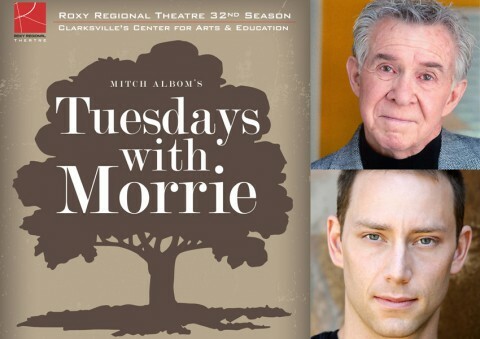 A minimalist production of Tuesdays with Morrie opened this week at the Roxy Regional Theater with breathtaking performances by its two stars: Jay Doolittle and Joe Sonenshein. 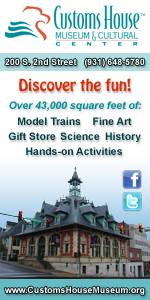 The finely woven connection between both men manifests itself as a tour-de-force performance of Broadway caliber. Morrie (Jay Doolittle at left) with Mitch (Joe Sonenshein) in the Roxy Regional theatre production of Mitch Albom’s Tuesdays with Morrie.